Located at Tanjung Lobang. With amazing sea view and great facilities such as swimming pool, gym and tennis court. Walking distance to great eatery includes seafood stalls, fast food chain, western and Japanese restaurant. It is about 10mins drive to the city centre and 15 mins away from Miri Airport. 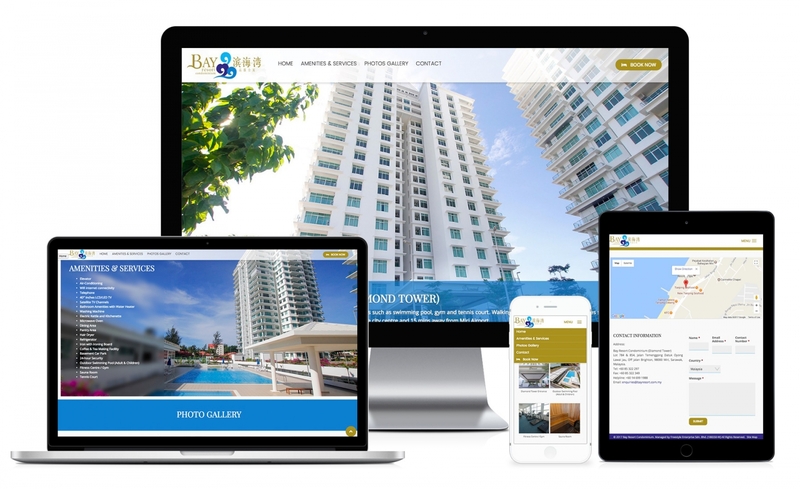 Client need a website to display their facilities, location, room types, general information for their condominium and must be mobile/tablet friendly, easy to browse and access, we create a dynamic modules that allow client to manage the content easily, and in parallax format. Content management system – Easily manage the page, news and content from user-friendly backend. Menu, slider, picture, social network, google map, all easy to change from backend system, with dynamic content block modules. Friendly layout that resize and fit into any screen size of the devices. SEO friendly and ready for improvement.